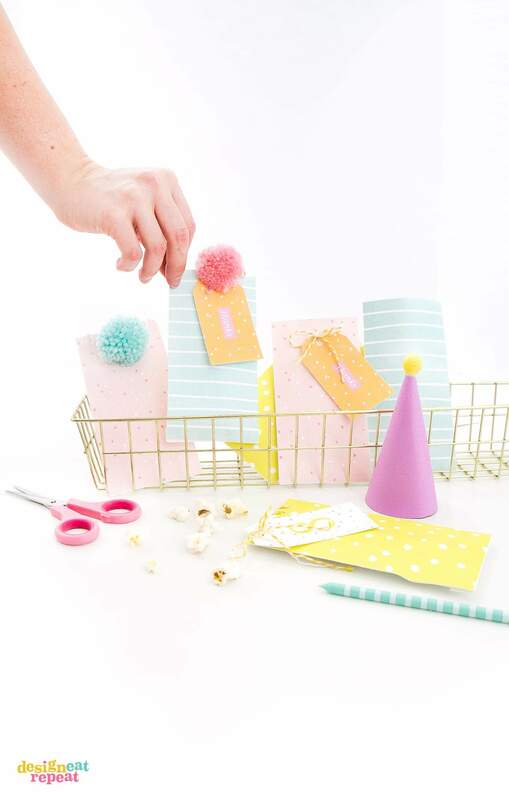 Download these printable party favor bags and fill with candy & trinkets for the perfect birthday party favor, baby shower party favor, or cash gift envelope! 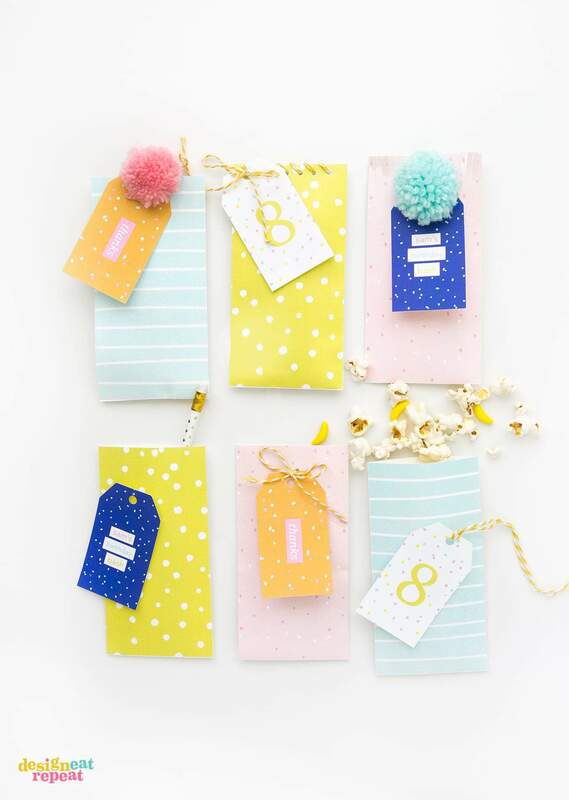 Includes link to the matching printable gift tags. 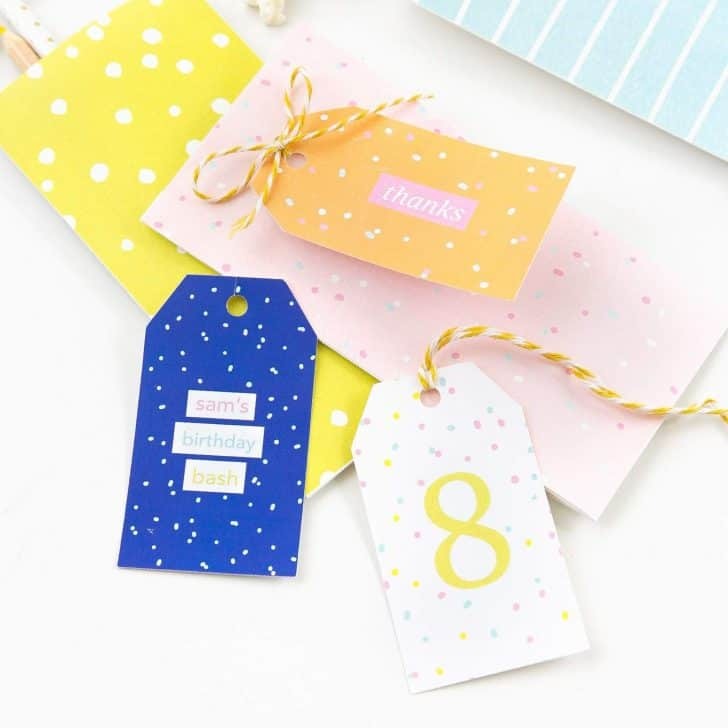 We’re going to keep today’s post short & sweet because they are Part 2 from last week’s birthday gift tags project! Last week = tags. This week = BAGS. 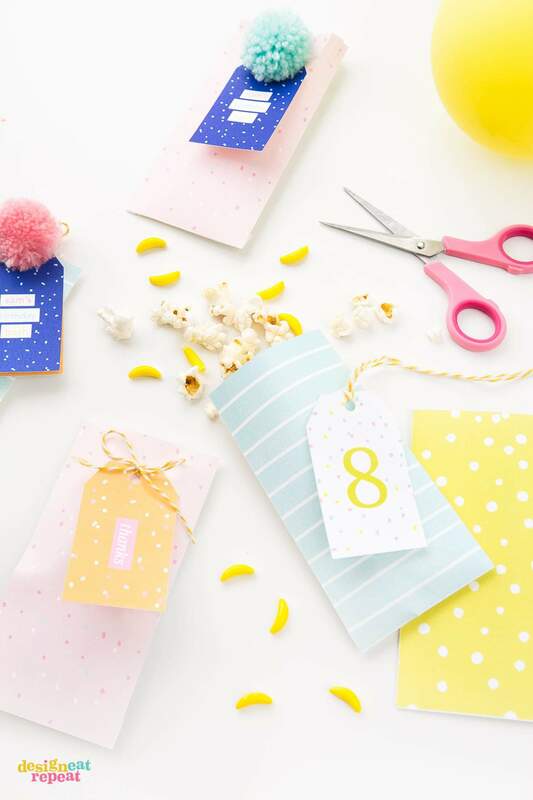 After customizing and printing off the printable gift tags, pop them on these fun & colorful confetti printable treat bags for the perfect party favor idea! 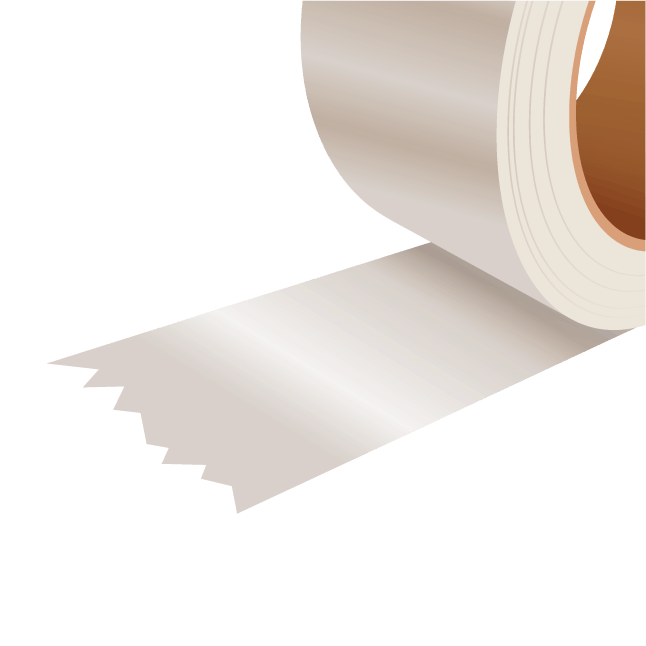 White Computer Paper, printable template, scissors or exacto knife, and double-sided adhesive. 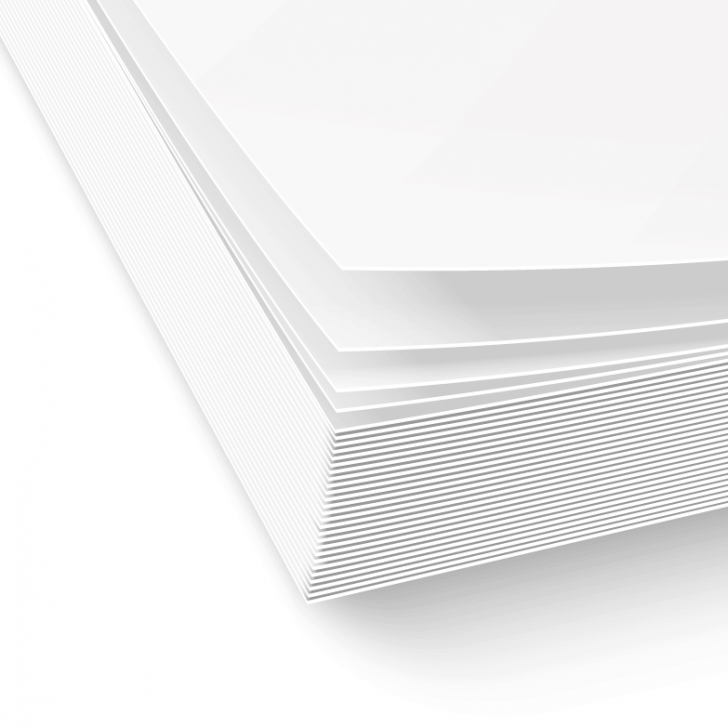 Print off the design on 8.5 x 11″ white cardstock (normal weight paper is fine). 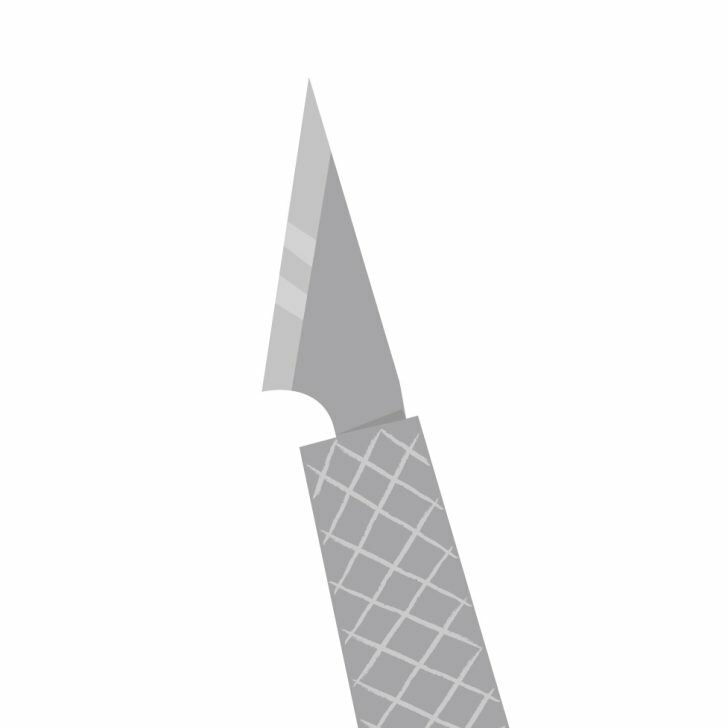 Use a scissors or exacto knife to cut along the edges and then use the edge of the knife to slightly score the sides where indicated. 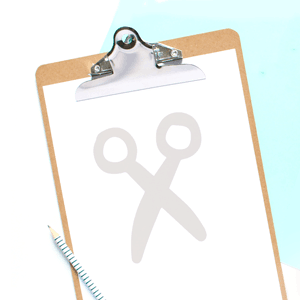 Apply double-sided adhesive to the side & bottom tabs then adhere closed. 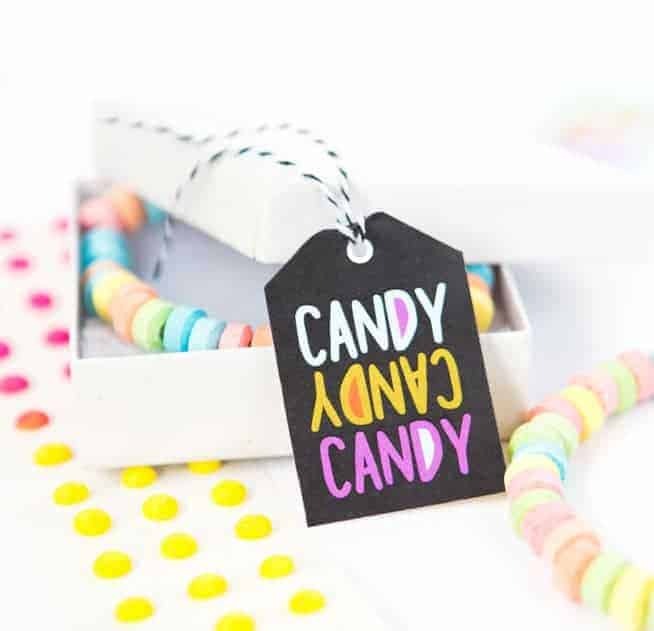 Fill with candy or other small trinkets and tie them closed using twine or fun washi tape. 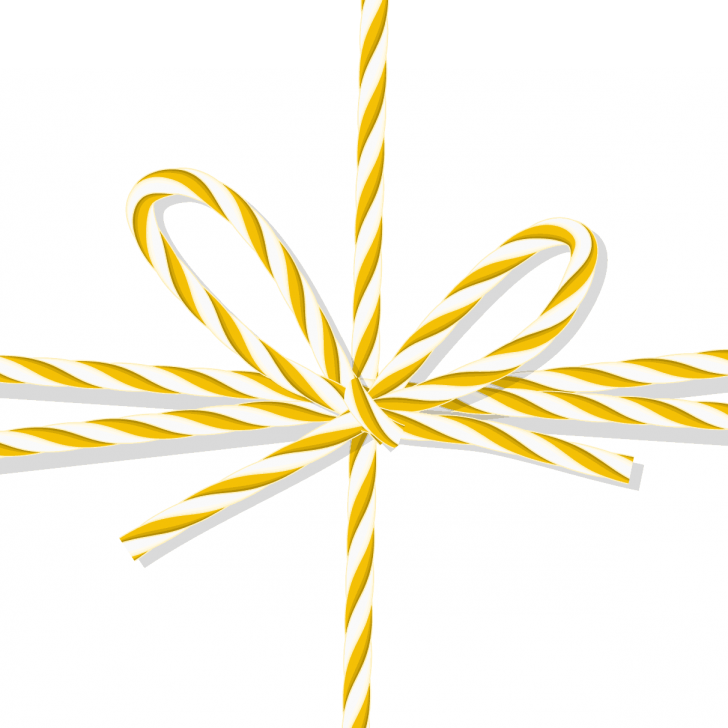 Gifting Tip: These would also work great as giftable money envelopes or a printable gift card holder if you’re needing a festive last-minute way to gift that cash money. 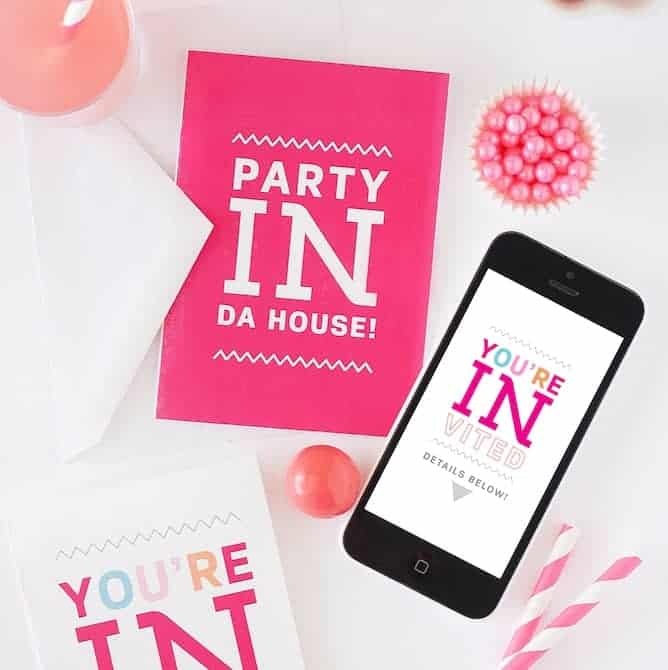 The printable file includes the template for all 3 of these designs, so choose one (or all!) 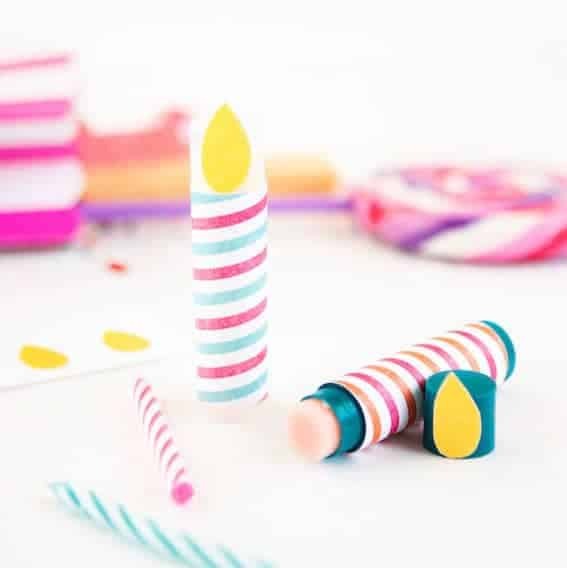 that best suit your party theme and gift away!